Over 10 years ago, Ngô Anh Tuấn stepped into a charming cafe on Cat Linh boasting a collection of board games imported from overseas. At the time, it was one of the only places in Hanoi where one could find international games. 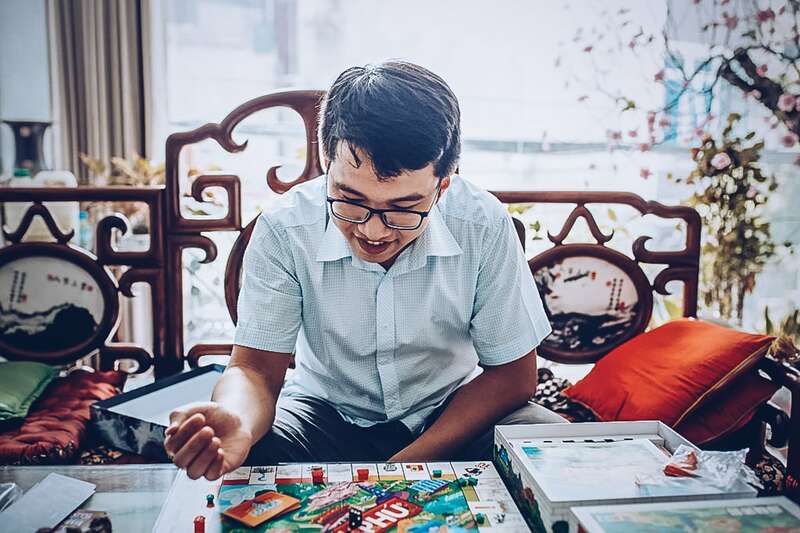 BoardgameVN CEO Ngo Anh Tuan had no idea that his startup journey would begin there, in a modest board game cafe, and that the future of his entrepreneurship would revolve heavily around this concept of bringing people together through games. “I started BoardgameVN with the belief that Vietnamese youth are in dire need of healthy, interactive forms of entertainment,” reflects Ngo. “And the fact that almost anyone can make games has been the biggest driver of BoardgameVN’s growth over the years,” he beams. 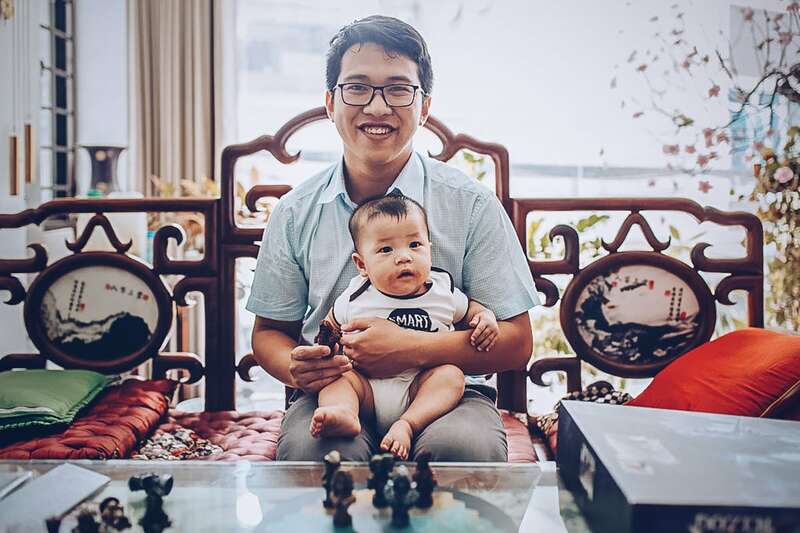 Empowered by the knowledge that people from all parts of the country and all walks of life have the ability to design their own games, this Hanoi native built a community of board game enthusiasts with over 340 thousand social media followers and fifteen physical hubs through Vietnam. 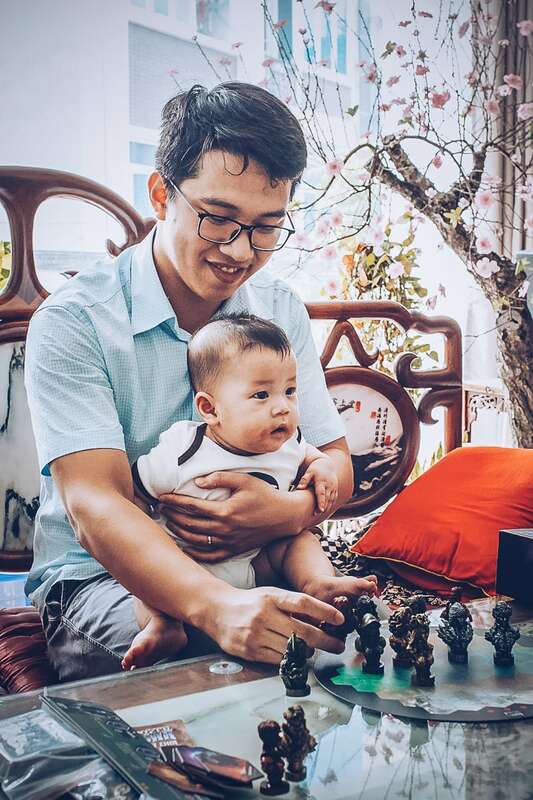 Founder of BoardgameVN – Ngo Anh Tuan and his son. 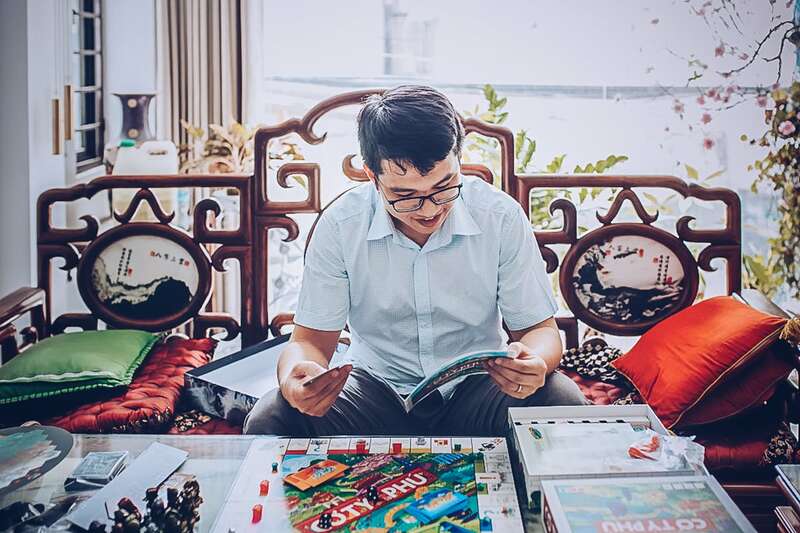 Sharing in Ngo’s contagious excitement, Vietcetera connected with the BoardgameVN CEO to learn more about the transformative power of games both in his life and in the lives of people throughout Vietnam. Ngo’s idea for a Vietnamese board game company originated in around 2007 after he spent hours playing games in specialty cafes in Hanoi. He saw a need and hoped to respond to it—international board games were hard to come by, and Vietnamese-made board games were almost nonexistent. After spending several years on a business plan, Ngo launched BoardgameVN at the end of 2011. Then in college, Ngo and his partners were inexperienced at running a business. The group failed four times within only three years, eventually disintegrating. Only Ngo kept at it, telling himself that every failure had been an opportunity for him to learn more about starting a business. “It’s easier to recover from failure while you’re still young.” – said Tuan. In 2015, Ngo made a huge leap of faith, leaving his managing role at Unilever to focus on his project, BoardgameVN. “Some people would call this a reckless act of youth,” Ngo admits. But he believes he made the right choice in leaving his corporate career to follow his dream. Working alongside a strong team with a shared vision, Ngo raised enough capital to start his business for the fifth time. He could now draw from his wealth of experience, including his work in the corporate world and not despite it. Working alongside a strong team with a shared vision, Ngo raised enough capital to start his business for the fifth time. BoardgameVN’s mission has stayed the same since its first founding in 2011—to bring games rich in intellectual value to Vietnam, foster human connection, and build a thriving board game community independent of any one company. Ngo wanted his company to handle all aspects of board game circulation, from the original concepts and designs to supply chains and retail. He wanted to change the market entirely. To do this, he had to grapple with an issue he’d faced while working in the corporate sphere—strict in-company rules. 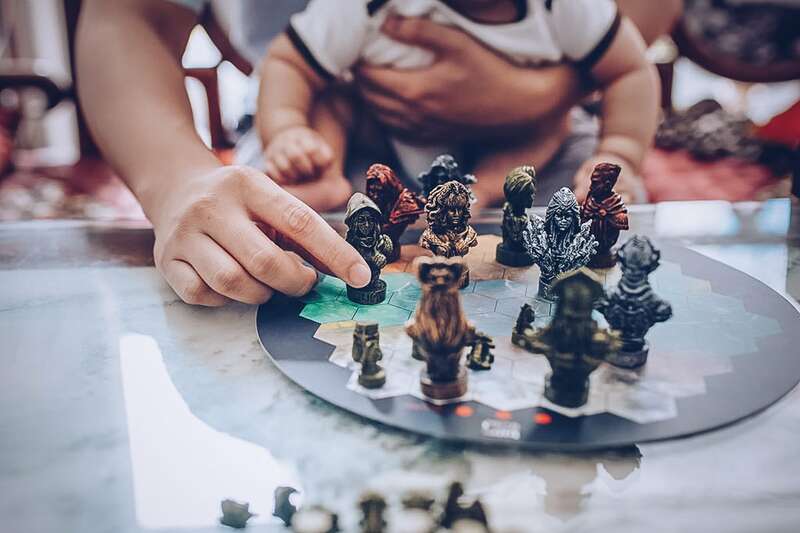 BoardgameVN’s vision is to bring games rich in intellectual value to Vietnam, foster human connection, and build a thriving board game community independent. Somehow, Ngo found himself thinking of game-making as a metaphor for the startup lifestyle. His field required standardized procedures, thoughtful planning, and great discipline. He was in the game business, but it was just as serious as any other. BoardgameVN has made incredible progress since its early days, but is still far from the sure path to international success. Ngo kickstarted a campaign to release one of the company’s games, Xếp Toán, into the American market under the name “Num Rush.” But despite aggressive marketing, the project failed to meet target sales. After the flop, Ngo recognized the American market’s unique preference for strategic and tactical games as opposed to the make of his game, which featured graphics steeped in local Vietnamese tradition. He refused to let go of the traces of Vietnamese culture he saw shining through in BoardgameVN’s products, deciding to tackle one the hardest puzzles he’d seen yet. “I asked myself, how can I make a game that is both distinctly Vietnamese and capable of captivating an international audience?” Ngo explains. In June 2018, BoardgameVN released Dozen War, a game Ngo refers to as a historic marker in Vietnam’s game industry. Time Sun See Studio, the crew that developed the concept, spent over two years fine-tuning details. By drawing on the expertise of book artists and sculptors, they were able to realize their artistic vision through the game design. BoaredgameVN and Time Sun See worked closely throughout the entire process, from production and development to the game’s commercialization. “We were the first local studio able to produce a game with such caliber in terms of graphics, quality, and scale,” reflects Ngo. 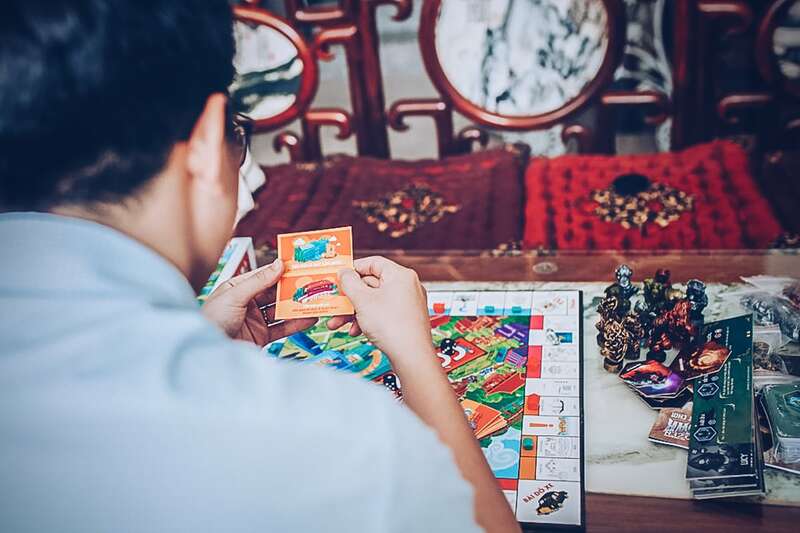 After years of being in the game, Ngo still regards the local Vietnamese board game industry, along with the entertainment sector in general, as largely untapped wells of potential. “We need to invest in infrastructure and in our supply chains, securing strong foundations whereupon we can scale global operations adapted to a growing market,” says Ngo. As it matures from a local success into an international operation, BoardgameVN hopes to target older audiences as well as youth. To do so, the company has started by posting short videos on its YouTube channel and undertaking special branding campaigns for its products. “Because we’re on a mission to make board games more accessible to everyone, beginning with young Vietnamese people. Board games, with their power to connect and transform, are here to stay,” Ngo smiles.